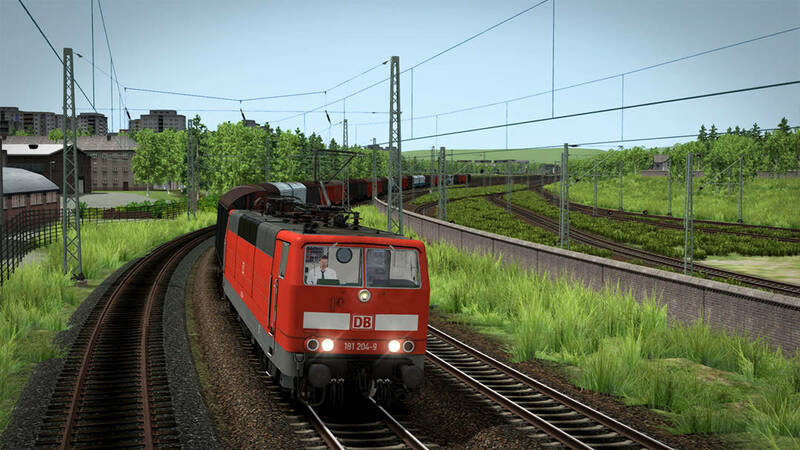 Built in the mid-1970s, and very recently retired from service in December last year, the DB BR 181.2 continues to live on in Train Simulator, in full Pro Range fashion, courtesy of Virtual Railroads. 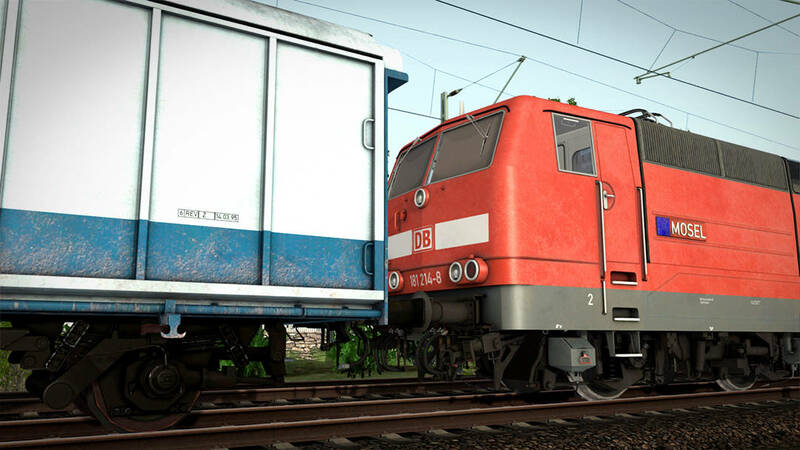 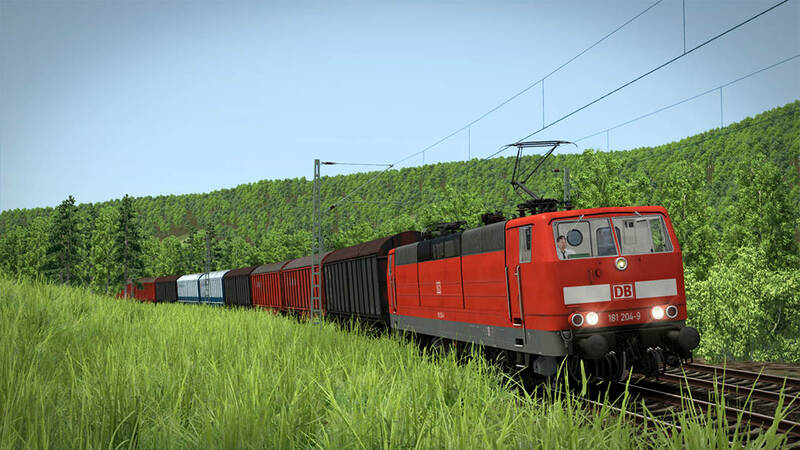 The loco arrives resplendent in DB’s Traffic Red livery, and multiple named examples of locomotive are included, including 181 214 “Mosel” which is fitting as the pack contains a trio of Career scenarios for the Mosel Valley route. 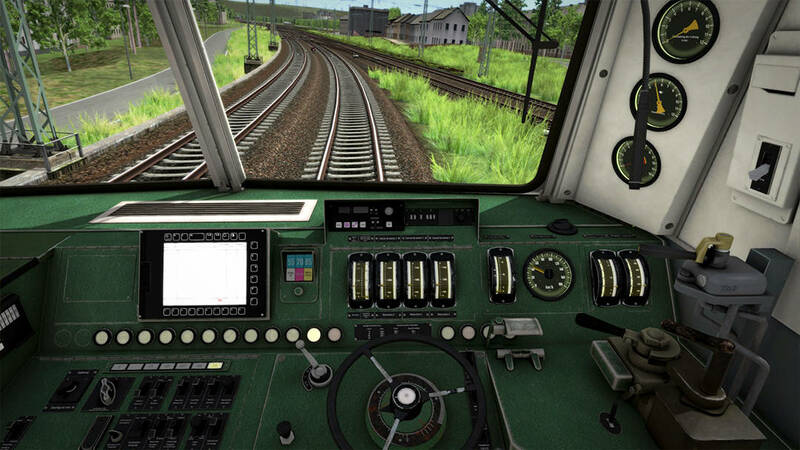 Cold start, battery isolation, pantograph & main circuit, traction motor blowers, Sifa & PZB 90, realistic throttle and braking controls – this is just a glimpse of the features on offer with the DB BR 181.2, full details of which can be found in the manual, and it all adds up to offer a fantastic level realism and authenticity. 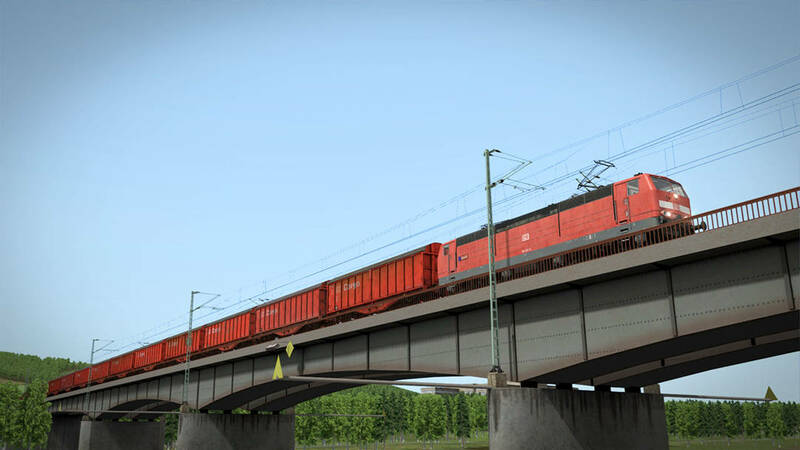 Included with the DB BR 181.2 is the Hbillns 303, which are designed to haul goods which much be protected from the environment, deterring moisture from entering and tainting what’s inside. 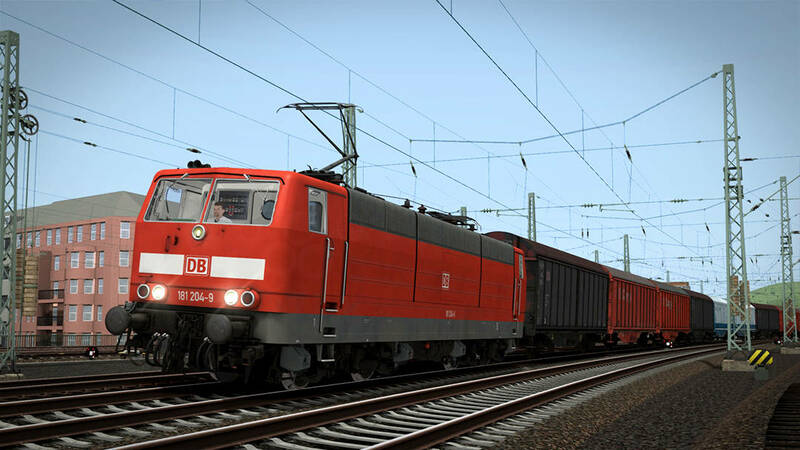 The Hbillns 303 comes ready to haul in 3 liveries, brown, DB Cargo and DB Intertrans. 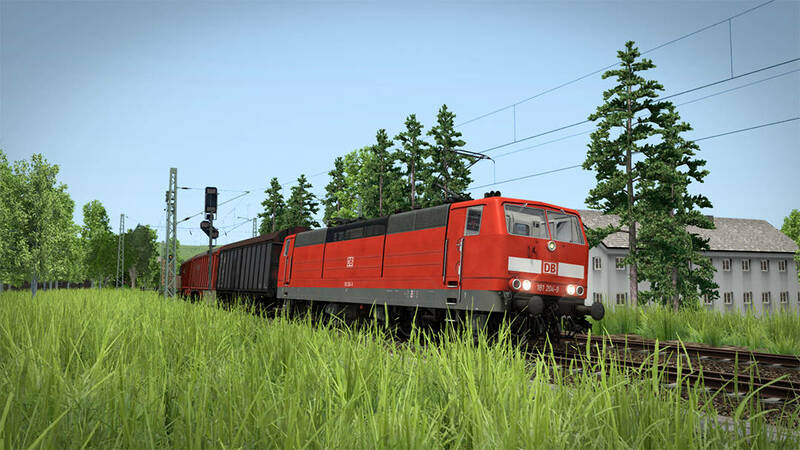 With their reign on the rails now in days past, there is no better time to relive classic traction in the form of Virtual Railroads’ DB BR 181.2, which is available now on the Steam and Dovetail Games stores.